Ever questioned what your life used to be like before Netflix was invented? I do all the time! Long gone are the days where I would struggle to find a decent link to watch my favorite TV shows (Putlocker anyone?) as now for only £5.99 a month it's all on Netflix and with one click of a button I can sit and chill and not have to worry! It's just amazing. I love reading posts and finding out what other people have been watching and what they love to watch so I thought why not tell you my favorite things to watch on Netflix at the moment are. Enjoy! Pretty Little Liars: Now I can't do this post without Pretty Little Liars being at top of the list! It's definitely one of my favorite TV shows ever and I am so excited for the second half of season six to come on netflix! If you haven't watched it before I'm sure you've heard a lot about it from friends who have watched it and from social media. It's honestly amazing. Girly but quite scary in parts (depending on your definition of scary obviously but it's pretty jumpy I find!). Main overview is about 4 girls who are reunite after a summer apart to find their friend who has gone missing. If only they knew what lay in store for them...definitely watch check it out if you haven't already and prepare to be hooked. Gossip Girl: If you're looking for a fabulous city, incredible hot guys and are looking for some new style inspiration....Gossip Girl is definitely the place to go. I absolutely love this show. I didn't actually start watching it until last year but I absolutely love everything about it. It's basically about New York's teenage elite. It's definitely not a show I thought I would love but definitely one I've become hooked on! It literally has everything and there's never a dull moment on the show. I've watched the seasons about 5 times each now and I just love them so much. Once Upon A Time: I absolutely love Disney. I love everything about it. It just makes me so incredible happy. I knew about this show ages ago however again it was one of those shoes I avoided because I thought I wouldn't like it. Boy was I wrong. It's just incredible and if you love your Disney princes and princesses and thought you knew them....think again! I love the story lines so much. I'm currently half way through season 3 but I can't wait to watch the rest. The Vampire Dairies/The Originals: I'm going to be honest here, I absolutely hated the twilight films so when The Vampire Diaries came onto the scene I definitely didn't watch it as I thought I would hate it. However I was introduced to it one night and ended up watching about 13 episodes in one night. I've become hooked. I have season 5 and season 6 still to watch. I'm also obsessed with the Originals which is basically a spin off of The Vampire Diaries but one that's equally as amazing. However you can't watch this until you've go to at least the end of season 3 of the vampire dairies as you won't understand what happens. Definitely two shows I'd highly recommend. Orange Is The New Black: This is definitely a show I found hard to get into at first. However after watching it a couple more times and getting into it more I absolutely love it. It's very funny and will leave you wanting more which is a good thing. I'm half way through the third season and I definitely don't think it's as good as the last two but I'd still highly recommend it. 90210: I honestly wish the original series was on Netflix as I absolutely love that too but I'm all for the modern version that's on netflix. Basically gossip girl but in LA. Filled with the same teen drama we all know and have been a part of ourselves. I love it. I still have to watch the final season but I'm obsessed with the first four! Definitely check it out if you haven't already. So those are my favorite tv shows that I love on Netflix. I know these are probably the standard girly ones that everyone has watched but still. If you know of any other shows I should check out then feel free to leave them in the comments below. Suits and Game Of Thrones (which I know isn't on Netflix) are next on my list! 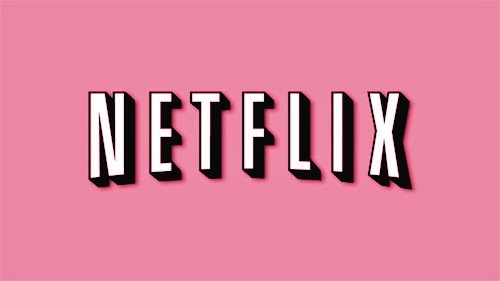 What are your favorite things to watch on Netflix? I've just started Season 3 of Once Upon A Time and I'm obsessed with it. I love how all the stories are connected. I love Regina & Mr Gold's stories. I don't have netflix but I housesit for some people that do and last time I was there I somehow binge watched all 3 seasons of OITNB in about 4 days. You've just enabled me to binge watch more shows next time ;) Love this post! Netflix is just the best. I LOVE Once Upon A Time! I'm a huge disney fan too (...obviously, hehe). I love loads of the shows you mentioned, except PLL I couldn't get into! I would recommend Taxi Brooklyn or Kimmy Schmidt, they're so good! I'm in LOVE with the Originals! Especially since I'm a New Orleans girl at heart (lived there and moved to NC)... but I never watched the Vampire Diaries and I didn't know that Originals was a spin off until I had already watched two seasons of it, hah! Pretty little liars, Gossip girl and 90210 are my absoloute favourites! I'm just so sad that GG and 90210 have ended though! I also started watching The Lying game - good show but they've cancelled it on a cliffhanger - super sad! I don't really watch that much TV but loved Gossip Girl and OITNB. Will definitely have to try some others! Lovely blog. I do love about of Netflix, I have all the programs you mentioned above on my to watch list. I have now watched Breaking Bad, Prison Break and Suite, which were all great and so addictive!